Warm and welcoming, this well equipped holiday home contains just about everything you need to make your stay comfortable.The spacious living area has 2 couches and one can become a Queen size sofa bed.Parking is directly in front of the flat so off street.Nearby is both the back beach of Tahunanui (great for surf casting and being amidst the dog walkers) and the main beach with many fun attractions including Paddle boarding and Natureland.WOW (World of Wearable Art) is a 5 minute walk away and a must see.Locally is a Deli, fish/chips shop, hair dresser and bakery.Just a short drive to great wineries, beaches, markets, rivers (we can provide great local knowledge). The stunning Able Tasman National Park is a 40 minute drive away where you can indulge in kayaking, boat cruises, bush walking and beautiful beaches. Quiet area so not a party house. Please be aware owners live above the Flat. Convenient location to Nelson, Richmond and Able Tasman. Tidy flat with everything what you need. Off street parking , good shower. Brilliant! Very neat and tidy with fantastic hosts. We thoroughly enjoyed our stay! Super location, super clean and super friendly owners. Good place to rest after long flight before driving to south. 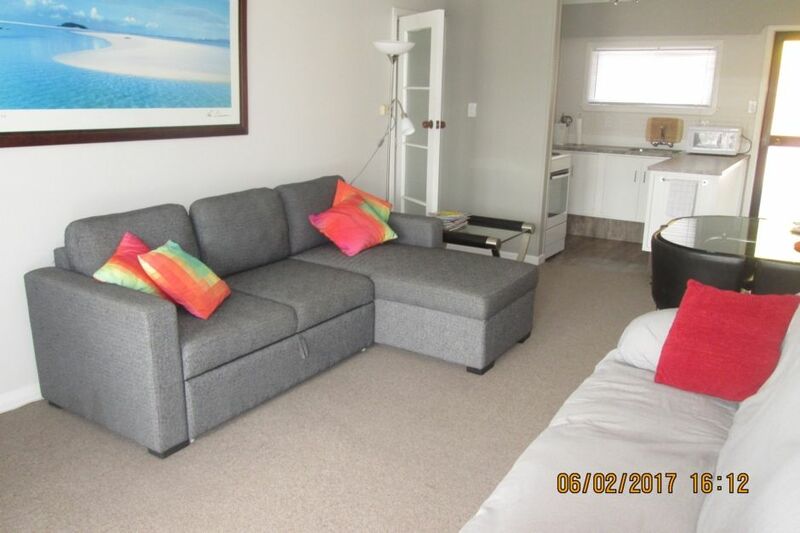 Well working appartment within few minutes drive from Nelson airport. Had everything we needed for one night.Sally was very king informing us from road closure caused by bush fire. Great place. Handy to everywhere and beach. Nice and clean and tidy. Great flat, close to Tahunanui. Tidy with friendly owners. Would highly recommend. Great place to stay in. Owners were very friendly but gave us plenty of privacy. The flat had everything we needed and was nice and tidy. Will definitely be back to stay again and would highly recommend.